Safety must always be considered in business operations protocol, especially if you’re in the business of serving food. All out-of-home kitchens, including chains and independent restaurants, and non-commercial establishments such school cafeterias or ballparks/stadiums, have a safety responsibility to both their employees and the customers they are feeding alike. Whereas 20 years ago food allergies would have been but a blip on the radar, today they are of significant concern to all food service establishments. The majority of food allergy reactions occur outside the home and the food service industry and particularly restaurants need to take notice. Anaphylaxis caused by food allergies leads to 300,000 visits to the ER each year. While researchers are still uncovering the root causes, we are certain that food allergies are becoming more prevalent in our society. There are theories based on our rapidly changing lifestyle in connection with the hygiene hypothesis and decreased exposure to bacteria, virus and other pathogens. Our immune system is designed to fight pathogens and perhaps when it’s not exposed it can be misdirected in fighting proteins with similar structure found in harmless foods. According to Food Allergy Research & Education (FARE) approximately 15 million Americans have food allergies, including one in 13 children. In Europe the estimate is 17 million food allergy sufferers, and after a recent death of a man with peanut allergies, a restaurant owner in the UK was sentenced to an unprecedented six years in prison in relation to food safety negligence. The seriousness of this should not be taken lightly, as anaphylaxis caused by food allergies leads to 300,000 visits to the ER each year. Education, awareness and avoidance are key to prevent allergic reactions and there are certain precautions food service establishments need to take. While it is possible for a person to be sensitive to any food, ninety percent of all food reactions are caused by foods from one of eight categories. Classified as the “Big-8,” this list includes: milk, fish, soybeans, tree nuts, peanuts, eggs, shellfish and wheat. It is critical for a guest who mentions food allergies to know exactly what they are eating. Specific proteins found in food, even in small or trace amounts can cause allergic reactions, therefore it is important to avoid cross contamination between ingredients. Food service equipment manufacturers are now introducing purple utensils, the food allergy color, to prevent contamination between ingredients. Furthermore, all staff must be trained on how to prevent cross contamination between ingredients. When a guest notifies the restaurant of their food allergy, it is imperative that the entire restaurant staff takes full precautions to serve them properly. A food service operator needs to create a written plan to help minimize risk for the establishment and the guest. This plan should be specific to the restaurant’s setup and function and should address four key elements that pertain to both front and back of house. First, make sure your staff understands food allergies and how to provide for guests who have them. Second, make sure no cross contamination happens when handling ingredients. Third, the front and back of the house must communicate seamlessly to ensure a food allergy guest is served what they ordered, and that no other food contaminated their ingredients nor plate. And finally, marketing materials should communicate your empathy and cognizance of food allergies and your welcoming of guests who are food allergy sensitive. Every restaurant should supplement their food allergy plan with a standard protocol, or a process where all staff is briefed on how to deal with customers who have food allergies. First and foremost, staff should always ask if there are any food allergies at the table. It should be asked by whomever is greeting the guest, either a hostess or a server. By addressing the issue upfront, you avoid not knowing of any allergies your guests might have. The protocol should also address when a guest does alert staff to a food allergy. All parties interacting with the table, including expediters and all staff, should be aware of the particular allergy. Servers are generally the first line of combat, and they should address the allergy during the ordering process. When describing menu items, servers should be clear about all ingredients in a particular dish. To help minimize cross contamination, the server should be the only person to deliver the food to the table, and the plate should come out on its own, not next to other plates of food. Food allergies are becoming more commonplace, and food service operators will need to take this into consideration. On the bright side, food allergy sensitive customers are staunch loyalists to their favorite restaurants. Dealing with food allergies is extremely serious, but simple preparation and education can make all the difference. If you have questions while outlining your plan or protocol, contact an allergist for guidance. 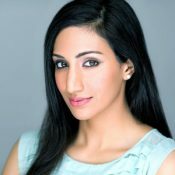 Dr. Julie Kuriakose is co-founder of New York City-based Hudson Allergy, which offers a Restaurant Food Safety Course.